Our Emergency Dentists in Castle Rock, CO Can Help! At Castle Valley Dental, our mission is to provide the best dental care possible to our patients in Castle Rock, CO. We see emergency cases during business hours only, so give us a call ASAP if you have an urgent need. 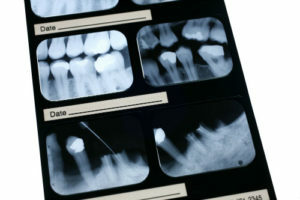 Accidents can sometimes occur, and immediate care and knowing what to do can save a tooth. If you have experienced an injury, is important to visit the dentist as quickly as possible for emergency dentistry in Denver. Our dentistry team is available to bring comfort and safe dentistry, and will promptly treat your emergency needs. You can expect to leave our office with relief brought by gentle and curative care. Our dental team has years of experience in treating emergencies and you can expect us to provide pain-free emergency care! If an accident occurs when our office is closed, please visit your local emergency room. We have flexible emergency appointments available daily. As your emergency dentist in Denver, we are here to help! What do I do, if my tooth is knocked loose or out? We provide adult dental care in our office. If you’ve knocked a permit or adult tooth loss, keep it stable. Get the office as soon as possible. If your tooth is knocked out, keep the tooth moist and get to the office as quickly as possible. 1. If possible, place the tooth into its socket without touching the root. 2. If placing it into the socket isn’t possible, place it between the gum and cheek. 3. The tooth can also be placed in milk. 4. The tooth can be placed in an ADA approved preservation product. What do I do, if I cracked my tooth? If you’re cracked your tooth, immediately cleanse your mouth by rinsing with warm water. Place a cold compress on your face to limit swelling. Do not eat anything hard or crunchy because the tooth could break apart. See the dentist as quickly as possible. What do I do, if I bite my tongue or lip? Clean the area with water, and apply a cold compress. If there is excessive bleeding, a lot of pain or bleeding that won’t stop, contact emergency dentistry in Denver or visit the emergency room. What do I do, if have a toothache? 1. Rinse with warm water to rinse your mouth. 2. Use dental floss to gently remove any trapped food between your teeth. 3. Call the dentist, if you continue to have pain. 1. Protect your teeth by avoiding chewing on ice, hard candy, popcorn kernels or anything that could crack a tooth. 2. Do not use your teeth to open packages or to cut things. Use scissors instead! 3. Wear a mouth guard while playing sports. 4. If you’re grinding your teeth in your sleep, purchase and wear a mouth guard. 5. Visit your dentist for regular appointments and follow all suggested hygienic practices.